Megu has been reborn in the Dream Downtown hotel. : Megu, a Japanese "clubstaurant," has moved into the former home of subterranean upscale spot Cherry in the Dream Downtown hotel. (Two former Megus in NYC closed abruptly several years ago.) 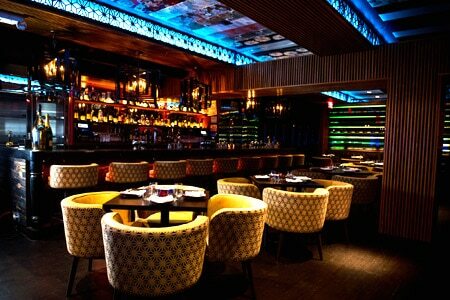 Megu serves dishes like nori salmon belly taco and Wagyu carpaccio in a technicolor, 2,800-square-foot space.